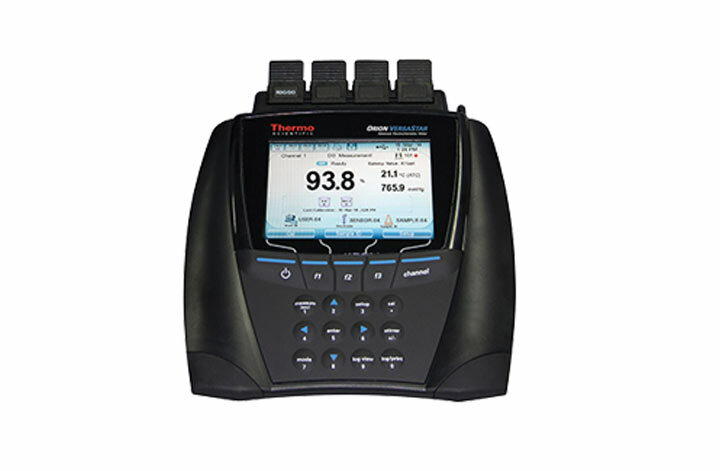 The Orion™ VERSA STAR™ DO Benchtop Meter is an advanced electrochemistry meter which has many attractive features such as including a dissolved oxygen/temperature module and providing four channels that can be customized with any of the five available modules. All readings, connections, time, date, sample ID, user ID and calibration information are displayed on the large screen. Simple prompts make using this meter a very simple process. The large 2000 data point memory stores all readings time and date stamped, the transfer of this data and meter software updates is easy using the two USB ports and RS232 ports.